Stairs - Going and Rise. Please Note: All external balustrade has to be 1100mm high. Pears Stairs are able to assist you with any staircase regulation questions you have, please don't hesitate to contact us we are a very friendly company. Phone Pear Stairs on 01938 553311. 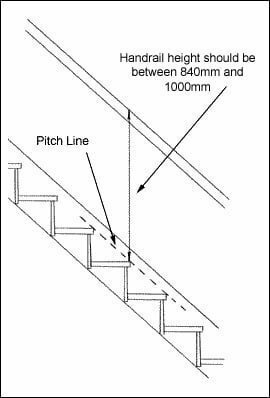 The most important dimension you need to provide to Pear Stairs, prior to designing your staircase, is the finished floor to finished floor measurement. We will then provide you with all the drawings you need once you have agreed to purchase your new staircase from us. 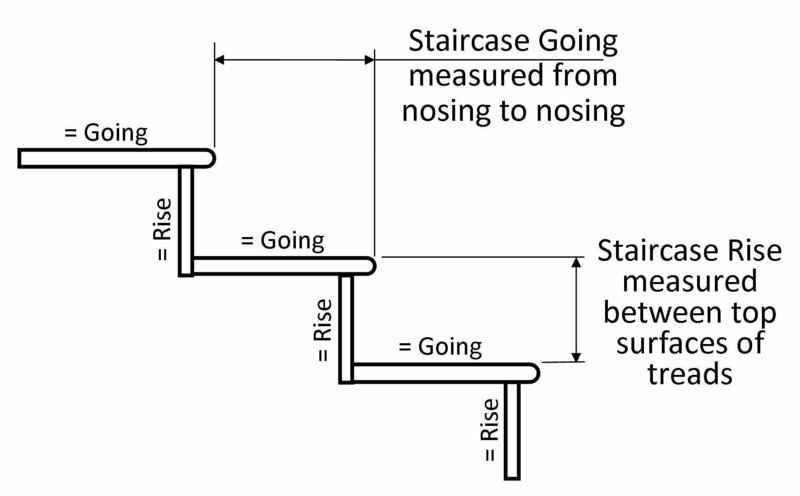 Pear Stairs will check your stair and staircase against current Scotish building regulations to ensure compliance. You must make us aware that your stairs need to comply to the Scottish building code. Why not use our 3D staircase creator to build your staircase? To assist you with your design ideas and budget calculation, why not use our simple step-by-step 3D Stair Creator tool? Our team of designers will provide accurate drawings, costings and advice, ensuring that your stairs are compliant to relevant regulations upon receipt of your concept design.